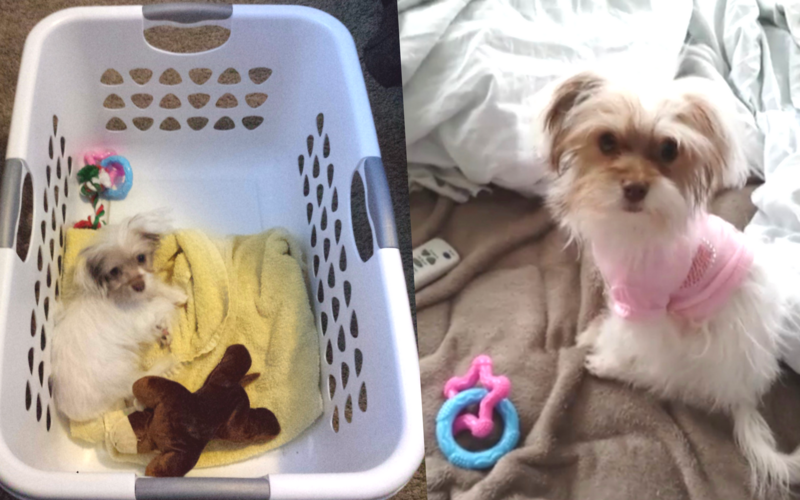 Do you have a new puppy in the household? Today only, head here to save 40% off Nylabone teething toys on Amazon. This Puppy Starter Pack is on sale for $11.99 (regularly $19.99) and has adorable teething toys such as a Dental Dino T-Rex and Pacifiers. Shipping is free for Prime Members on eligible items; otherwise, shipping is free on $25+ orders. Get a 30-Day Amazon Prime Trial here for FREE . 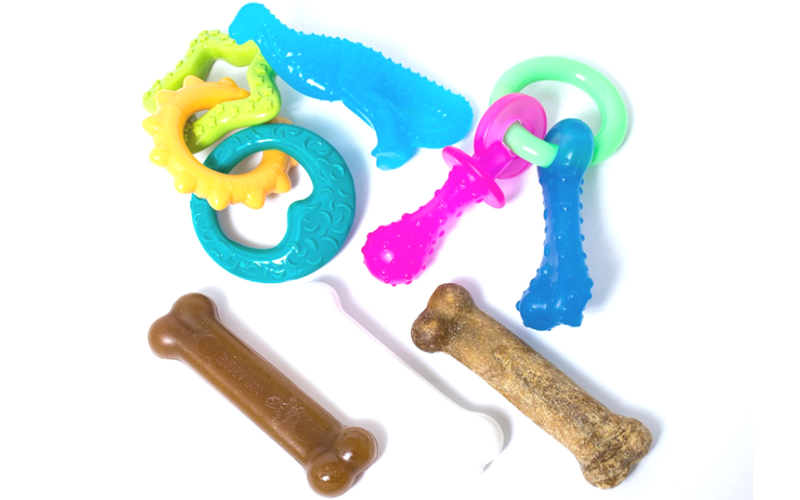 My dogs really made use of these when they were puppies, especially during the teething stage. Plus, the toys just smell so good, like puppies should smell! They also still love the Nylabone Toothbrush and Toothpaste, as you can see from the image above. I just let my puppy chew on it (supervised, of course!) 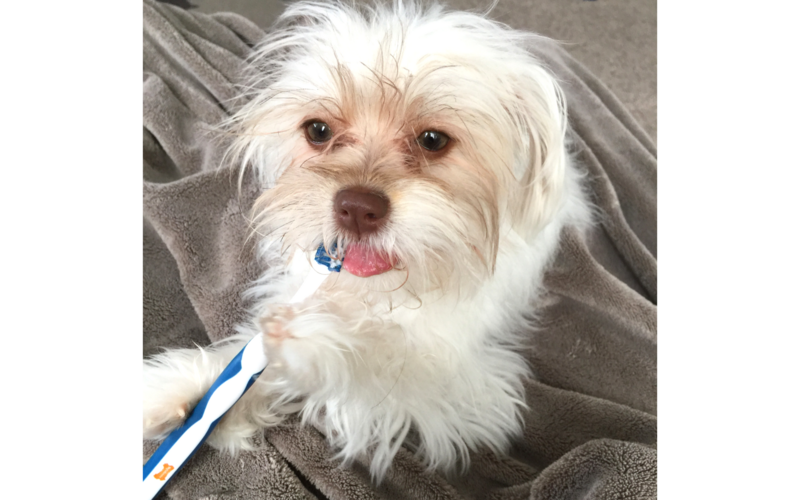 for a little bit to get used to it, then I could easily brush her teeth.